Outrigger presents the story of Sagar Parikrama – a project by the Indian Navy to execute the first solo circumnavigation of the planet in a sail boat by an Indian. The navy achieved its objective, following it up with a solo nonstop circumnavigation as well. Scroll down to read from part one of the story, to part five. Part four is an interview with Vice Admiral (Retd) Manohar Awati, main architect of the project. Part five is a note from the author. The story of Captain Joshua Slocum stuns. Over three years spanning 1895-98, Slocum became the first man to circumnavigate the globe alone. 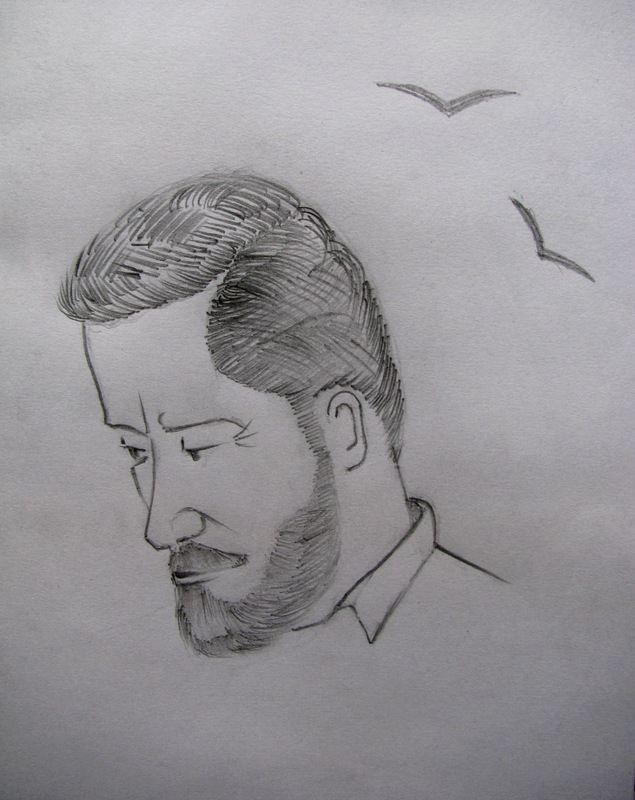 Hailing from Nova Scotia, he was a veteran sailor, his association with the sea beginning when yet a young lad. 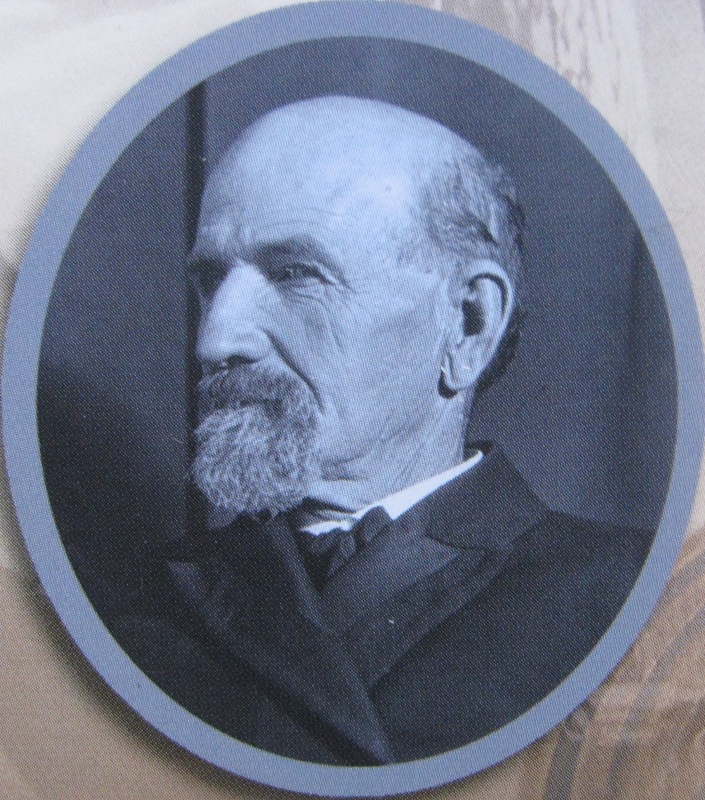 Slocum became a captain, even owning a ship in part. He appears maritime survivor in the classical sense. Once, shipwrecked in South America, he built a new vessel and sailed back to the North with his family. But he remained a man of sail and when the age of steam navigation dawned, Slocum’s relevance faded. That was when he saw the `Spray,’ rebuilt her and over three years, sailed the sloop around the world, alone. His book on the voyage, written with little drama, presents itself to the reader as an understatement. In 1909, aged 65 and now known for his solo circumnavigation, the captain embarked on another solo project in the Spray – exploring rivers in South America. He wasn’t seen again and was eventually declared dead as of November 14th that year. The oceans cover approximately 71 per cent of the Earth’s surface. They hold 97 per cent of the planet’s water. The total volume of our oceans is about 1.3 billion cubic kilometres and its average depth is 12,080 feet with a maximum depth of 35,994 feet. It is home to many species. Climate as we know wouldn’t exist without the oceans. The Pacific Ocean is bigger than the Earth’s land masses combined. The Southern Ocean, essentially the southern waters of the world’s oceans leading up to Antarctica, poses some of the harshest weather conditions at sea. Yet Slocum, sailing alone, never knew how to swim. A bombed out Europe was trying to reconstruct. For the 21 year-old Indian officer, newly commissioned in the then Royal Indian Navy, it was a good time to be in London attending a course at the Royal Naval College. He was feted everywhere he went simply because, in the eyes of the English, the Indian Army had fought well in the defence of Empire. India had become independent. But there was no bitterness towards the country; in fact great things were expected of her. It was also hoped that the proposed republic would stay within the Commonwealth. One day, out on a walk in the city, the officer bought a book from a footpath bookseller somewhere near Charing Cross in west London. Returning to India, the officer had a great career in the Indian Navy. He was awarded the Vir Chakra and eventually retired as Vice Admiral after many distinguished posts held including Commander-in-Chief, Western Naval Command. “ From 1946 to 1983 I was busy being a good officer,’’ Vice Admiral (Retd) Manohar Awati said laughing, this June, at the Indian Navy Watermanship Training Centre (INWTC), Mumbai. 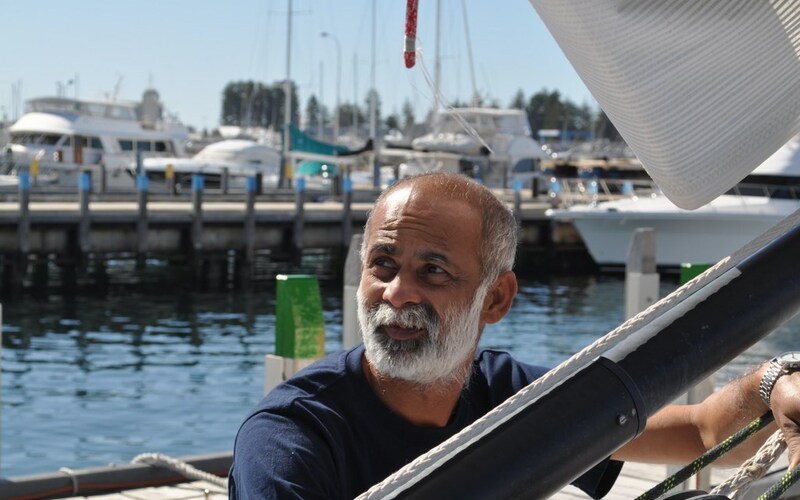 Post retirement, in the early 1990s, Awati, who was passionate about sailing, approached leading companies to sponsor an Indian solo circumnavigation project. Estimated project cost then was roughly two crore (twenty million) rupees; a crore for the boat, the rest for the voyage. Save some interest shown by Godrej, Awati’s appeal to corporate India fell on deaf ears. Same time, mountaineering was finding support from private patrons. “ The Indian mind is not naturally sea friendly,’’ Awati said. He wrote to the Chief of Naval Staff. No luck there too. The risk involved in sailing solo caused trepidation. Then in 2005-2006, a former cadet of his, Admiral Arun Prakash, who had become the navy chief, responded. Awati proposed a revised budget of four crore rupees and one condition – the boat should be built in India. Within two months the navy chief secured defence minister Pranab Mukherjee’s approval for six crore rupees. The navy sent out an `India General’ – a signal to all hands – seeking volunteers for the project. The book Awati bought 58 years ago in London was at last, coming alive in an Indian edition of solo circumnavigation – Sagar Parikrama. But even within the navy this was easier said than done. Three sail boats from the Indian armed forces – Tarangini, Samudra and Trishna – had sailed around the world earlier. But they don’t qualify for pure circumnavigation under sail as they could use the diesel engines aboard and their routes did not exclude straits and manmade canals. Besides, Awati’s Sagar Parikrama project was going to be solo. That made a huge difference. Although the Indian Navy has a tradition of sail boats, short-handed sailing or sailing with less than the full complement of crew was not a practice. The navy’s voyages were typically team efforts and the purpose of sailing in the curriculum was to forge team spirit. That made solo circumnavigation, requiring sustained personal sustenance at sea, a major leap in mindset and skill. Look landward and you see this in mountaineering, where the bulk of ascents by the Indian armed forces are full blown assaults by large teams. Commander Dilip Donde loved to sail. He used to be the First Mate on INS Tarangini. He is a clearance diver as well. According to Wikipedia, the clearance diver “ was originally a specialist naval diver who used explosives underwater to remove obstructions to make harbours and shipping channels safe for navigation. Later, the term grew to encompass more naval underwater work.’’ Donde was stationed in the Andamans. He was in Mumbai on a sailing assignment when at a function where the navy chief was present, he was asked by the officer tasked with finding a candidate for Sagar Parikrama whether he wished to volunteer (incidentally this officer had been Donde’s diving instructor and knew his abilities pretty well). Donde did exactly that. “ I just volunteered, just jumped in,’’ he recalled. Then, the fullness of what he had got himself into, dawned. There wasn’t anything in the sailing he had done so far that prepped him to be a solo sailor of such long distances. He spent a few days with Awati, gauging the depth of his new project to dive into it, and then commenced building it up from scratch. If there is one thing about clearance divers, used to doing work underwater themselves, it is that they don’t mind muddying their hands. Solo sailing values this trait. Transferred to INWTC in Mumbai so that he could execute the project, Donde found a resource person in Sir Robin Knox-Johnston, the first man to do a solo nonstop circumnavigation. Donde met up with Sir Robin in the UK, worked alongside for six weeks and sailed with him from the UK to Spain to help him prepare for an upcoming voyage. In the process he got a ringside view of the solo long distance sailor. Now Donde had to make his boat. Vessel matters; humanity’s first recorded circumnavigation was the product of one ship, from four, surviving intact. According to the list of solo circumnavigators available on Sir Robin’s website, for almost four decades after Slocum’s voyage in 1895-98, there wasn’t anyone successfully finishing a solo trip. From one voyage in the 1930s, it gradually rises in frequency each decade. In 1966, Sir Francis Chichester sailed the Gipsy Moth IV around the world with just one halt – Sydney (I remember, when I was a child, my paternal grandfather read a book about this voyage. It was borrowed from Thiruvananthapuram’s British Library). It inspired a new Holy Grail – circumnavigating solo and nonstop. In 1968 Sir Robin did just that in a legendary Sunday Times sponsored-race, the subject of Peter Nichol’s book ` A Voyage for Madmen.’ For the one man who finished the race and another who could have had he wanted to, their boats were as crucial as their own skills at sea. “ The sort of boat I wanted for a round-the-world voyage would have to be seaworthy and easy to handle. She would also have to be robust, and not at all complicated, and as I wanted to make a fast passage she would have to be long on the waterline, since it is upon length here that the theoretical maximum speed of a hull is dependent. She would also have to be ridiculously cheap to construct as I did not have a lot of money to spend. This, of course, is what every prospective boat owner is after: the impossible for the ridiculous.’’ – Sir Robin, in his book: ` A World of My Own.’ Money remained a problem and Sir Robin eventually raced with the `Suhaili,’ a wooden ketch built earlier in Mumbai, when he was posted there. She was hardly the swift vessel a race around the world demanded. But she was sturdy, capable of steady sailing. Almost four decades later Donde, having volunteered for the Indian Navy’s Sagar Parikrama project, expected as much from the boat in his thoughts. She must be reliable – a safe vessel to sail in. She had to be “ idiot proof’’ – Donde’s description for how forgiving she had to be to the first time circumnavigator’s potential mistakes. Only next did other parameters matter, speed being one, for which she could be long. The navy approached the reputed Dutch boat designing firm -Van de Stadt, explained their need and secured the rights to build a model called the ` Tonga 56,’ a 56 feet-long sloop that was essentially designed for charter trips. 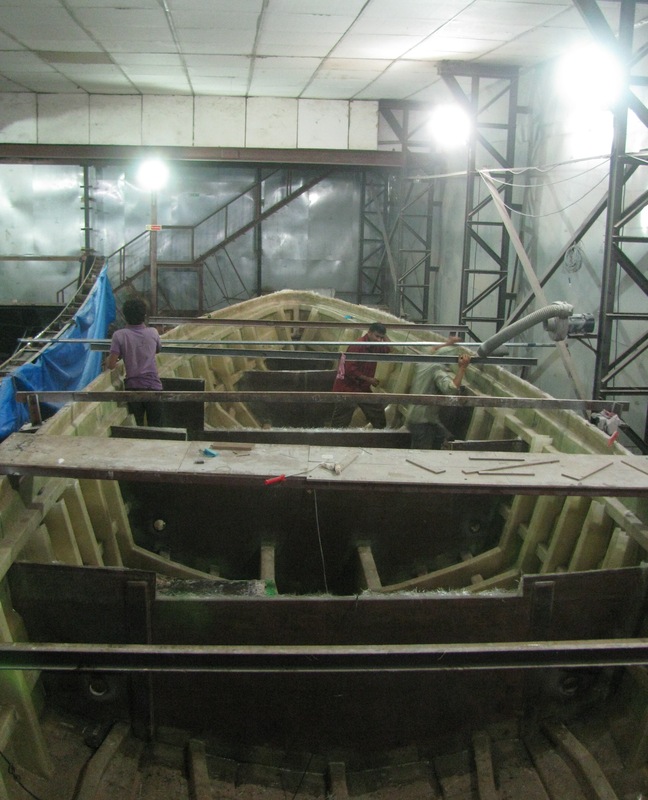 Alongside, the navy also dispatched a team to short-list competent boat yards in India, where the vessel may be built. Diwar Island is accessed by ferry from Old Goa. Long ways off from where you land on the other side, is Naroa (pronounced Narwa) and further on is the point where the Konkan Railway’s bridge spans across the Mandovi River. From a passing train, if you look seaward, right below at the edge of Diwar Island, you will see the boat yard started eighteen years ago by Ratnakar Dandekar and his wife. Called Aquarius Fibreglass, the company traditionally made small crafts. They had just burnt their fingers building a big 20 metre-vessel for a state government with the associated rigmarole of delayed payments et al, when the naval team arrived to find out if they could be short listed for not just a long 56 feet-vessel for government but a sail boat at that. 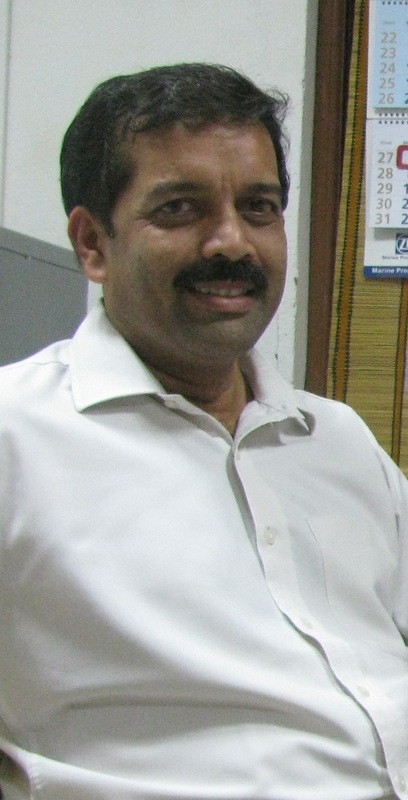 Dandekar is an instrumentation engineer. His father is a naval architect. None at Aquarius had built sail boats before. Building sail boats require skill. Very simply it can be explained so – a boat with an engine will power its way through water even if its design and fabrication is bad; a boat powered by sail must be sensitive to the wind, harness it and translate that energy to effortless movement on water, which means everything from concept to construction, matters. Because of this, it is also said in builders’ circles that should a sailing voyage succeed, then the sailor gets all the credit but should one fail or the sailor be lost, then all the fault is heaped on the boat builder. Of four Indian boat builders that the navy subsequently short listed, only one had built a sail boat before. In what is probably testimony to the challenge in making sail boats – particularly one for solo circumnavigation – the experienced builder never submitted a bid in the ensuing tender process. Aquarius won as its bid was the lowest. Dandekar recalled the navy asking him to reduce his quote further! He had a year to deliver the boat he knew nothing of. Indeed on the other side of the tender process too, experience was as blank. Donde set a tight budget and delivery schedule based on his own learning-on-the-run. “ We were like the proverbial blind men and the elephant,’’ Dandekar said. Like others in the Sagar Parikrama project, working by imagining, he read Sir Robin’s book to get an idea of sailing solo and what all can potentially go wrong with a sail boat at sea on such a demanding voyage. That done, he took a decision – since this was totally new territory for Aquarius, he would stick to loyally executing the Tonga 56 design. The navy’s agreement with Van de Stadt required periodic inspection by the designer. They deputed Dutch boat builder and consultant, Johan Vels. Aquarius’s first order for a sail boat entailed cost that exceeded its then annual turnover. Banks helped with loans. Materials were procured. For strength, the boat’s hull was made as a sandwich of three layers – 3mm fibreglass, 35mm red cedar wood and 3mm fibreglass. For Dandekar, the hull was wake-up call. The wood had 74 per cent humidity against the stipulated 12 per cent. In nature, the required reduction would take years to happen; artificially hurried, three months. Ovens were set up. “ That was when I realized I had to start learning and be totally dedicated,’’ Dandekar said. He was hands-on, working with his staff. Donde camped in Goa for much of the duration of building. Challenges continued. The boat’s keel was of steel with nine tons of lead within. The yard hadn’t handled molten lead before. Dandekar learnt how to do it at a friend’s battery making-facility at Vasai near Mumbai. Once back in Goa, the Aquarius team poured the nine tons, two kilos at a time using a ladle. Sometimes they overworked and committed errors due to strain. In such a case of oversight, the rudder was fitted improperly first; days were lost correcting it. Donde then laid down a rule – work hard but rest as well. Although building to given design, the boat’s interiors were altered to be functional and useful to the crew. As construction progressed, the visiting Vels monitored quality. Eventually, he felt they had a good boat going. After the Mhadei (another name for the river, Mandovi) was launched, she was taken to moorings beyond the road bridge to Panjim to get her mast fitted. The 24 metre high-mast arrived in two pieces and in accordance with sailing’s accrued wisdom of the years, is held in place less by fixtures at the bottom and far more by the strength of its rigging; basically tensioned stays and ropes running from the mast to the sides of the boat. She then proceeded for her mandated two months of testing by Donde and crew. Sir Robin also joined in for an initial trial run. Following a trip to Colombo, the navy team sailed her short-handed to Mauritius, the first time the navy did short-handed sailing. Then Donde sailed her back to India, alone – his first solo voyage and a first for the country. The world is a free place to every explorer’s imagination and next to the sky the sea is visibly freest of all. However if you want your circumnavigation to be officially accepted by sailing’s connoisseurs, there are parameters to follow. The trip heads for the southern hemisphere and its vast oceans free of intervening land masses. The voyage must cover minimum 40,000 kilometres (21,600 nautical miles), it should avoid the world’s straits and man-made canals, grace three great capes (Cape of Good Hope, Cape Leeuwin and Cape Horn), it spends time in the feisty Southern Ocean with its Roaring Forties and the Furious Fifties, endures the vastness of the Pacific, crosses all meridians and journeys north to cross the Equator at least twice. The course is typically eastward to take advantage of the Westerlies. For emphasis on sail, engines in sail boats must be used sparingly (ex: you can use it to get in and out of a crowded marina). Sailing in days preceding engines and norms by sports bodies, Slocum first crossed the Atlantic. He travelled from North America to Gibraltar in Europe where he was warned of the pirates of the Red Sea. So from Gibraltar he sailed down the Atlantic, escaped a chase by pirates off the North African coast, touched Brazil, went onward to the Strait of Magellan near Cape Horn (navigating this strait can be more harrowing than the Horn) and west into the Pacific. Like Magellan, he sailed against prevailing winds. Donde embarked on his circumnavigation voyage on August 19, 2009 and returned on May 19, 2010. For India, he is the pioneer. An unassuming individual, his successful solo voyage around the globe with four halts, seasoned the boat and the team behind Sagar Parikrama. It was history for the Mhadei too. 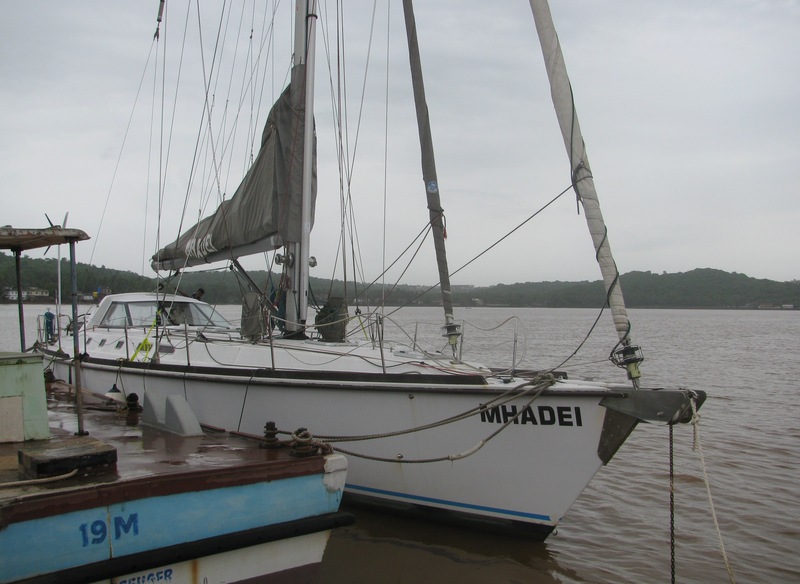 The India built-Mhadei became the first Tonga 56 to do a successful solo circumnavigation. Things did go wrong. But she didn’t fail to bring her sailor back, safe. The team’s confidence grew. Towards the end of Donde’s voyage, Awati had proposed upping the ante to a solo, nonstop circumnavigation for next project. This, as per sailing’s norms, required to be unassisted in the physical sense. Lt Commander Abhilash Tomy, for long part of the Sagar Parikrama team, was ideal candidate. A maritime reconnaissance pilot and sailing aficionado, he had been Donde’s support crew, meeting him at Fremantle, Lyttleton, Falkland Islands and Cape Town during the circumnavigation. Tomy was an active sailor from his training days at the Naval Academy. After commissioning as a pilot, he was selected to the navy’s shooting team. He left it. Shooting’s target oriented approach failed to attract as much as the romanticism of sailing. Twice he got lost – first at Jamnagar when he and a couple of others spent a night adrift at sea in damaged sail boats; the second time, in Mumbai, when a capsized boat couldn’t be corrected and the outgoing tide swept Tomy right out of the bay, into the outer sea where he floated till rescued. He had met Donde briefly a few times before but got to know him at a sailing event in Simonstown, South Africa, where Tomy won a competition. Later when the navy dispatched another `India General’ seeking an assistant for Donde in Sagar Parikrama who would also be stand-by, Tomy volunteered. Tomy’s previous sailing had been mostly on small vessels. Sagar Parikrama’s big boat and longer trips initially challenged. He was frequently sea-sick. His first solo sail was a trip in the boat from Cape Town to India. He got sea-sick but realized that solo sailor was the weakest link aboard and had better learn to function. Once back in Goa, he took to living in the Mhadei as a means to get used to what would be his new home. Then sailing out from Goa on November 1, 2012, he returned five months later as the first Indian to have done a solo, nonstop circumnavigation. To his advantage, Tomy had a boat that had gone through its teething troubles and performed well. “ Commander Donde’s voyage was tougher than mine,’’ he said. When you catch Awati, Donde and Tomy together, it is an ambiance of informal talk, leg pulling and camaraderie shaped by Sagar Parikrama. In their respective blogs, written as they sailed, Donde’s style is easy and forgiving; the younger Tomy gets there as the voyage progresses. A solo voyage in the 21st century is very different from Slocum’s. Navigating in the age of sextant, Slocum often preferred `dead reckoning,’ a technique that was still older. Although he made ample stops, at sea he was truly alone. 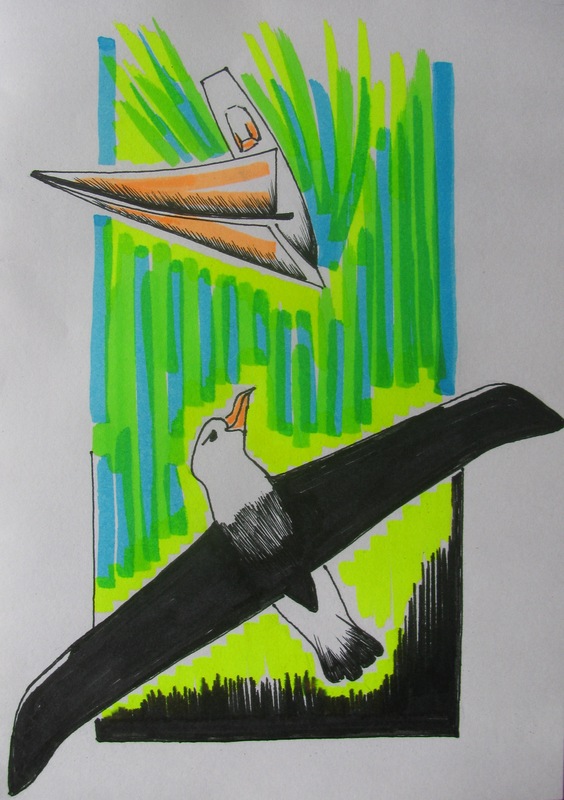 He communicated with passing ships and boats by drawing close and shouting above the waves. He had no engine, no radio. If something went wrong, the solo sailor was utterly single-handed in finding solution. Sagar Parikrama had Global Positioning System (GPS), satellite phone, radio, Internet on tap and an INMARSAT Mini-C that automatically transmitted its position at fixed intervals. During Commader Donde’s trip (the first Indian solo circumnavigation) the boat’s autopilots broke down in the Pacific. But as someone tracking his blog reminded – you have an online audience, including those who sailed long distances in similar boats and therefore able to imagine a potential fix. For Donde and Tomy, the word for what the rest of us calls loneliness is – solitude. You have to learn to handle it; not let the mind go into a downward spiral. In the 1968 Sunday Times-race, Donald Crowhurst (he was born in India) embarked on his voyage in a hurriedly built trimaran. His boat developed problems. This was atop the business troubles he already faced. He wanted a win badly to revive his business fortunes. From England, the farthest he went was the Falkland Islands but he conveyed to the world an impression of setting speed records and circumnavigating. His logbooks grew thick with poetry, philosophical speculation and eventually, a self-manufactured delusion that justified exiting this existence for the perceived higher challenge of what lay beyond. The story is there in the book by Nicholas Tomalin and Ron Hall. Crowhurst wasn’t aboard his boat found adrift in the Atlantic. He is believed to have committed suicide. At the other end was Bernard Moitessier. Coming off Cape Horn in his yacht built of boilerplate steel, the Frenchman, running close second to Sir Robin and at times thought to win, traded competition and record for the romanticism of voyage. He sailed on to Tahiti without turning north to England. In sailing, Cape Horn is iconic. Moitessier became famous even before the 1968 race, for enduring a terrible storm there. Like `Everester,’ there exists the reference, `Cape Horner.’ As with any weather pattern, you can cross it under milder conditions. But the Horn is usually intense with winds denied passage by the Andes, funnelling into the gap between South America’s tip and Antarctica. Then there are the storms off South Africa and the powerful Agulhas Current. 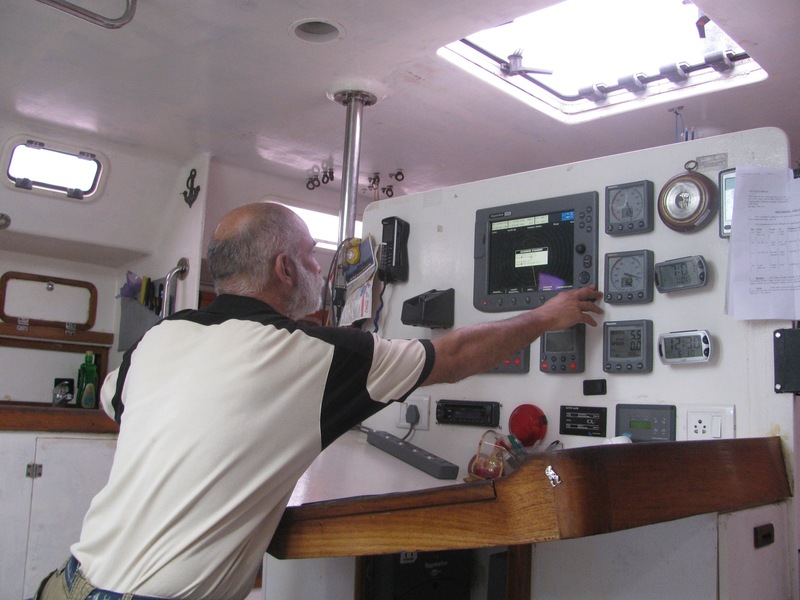 On Sagar Parikrama’s boat, a deck eye of 8mm metal was twisted open in one of the Southern Ocean storms. At sea, boats sometimes have their sails ripped; masts broken. “ The sea is unforgiving,’’ Awati said. By the second half of the 20th century very busy shipping lanes would dissect waters above the Southern Ocean. Peter Nichols, sailing solo across the Atlantic, remarks how dangerous, containers fallen into the sea could be for a small sail boat like his. You can hit containers; other boats, maybe a ship. Big ships take time to slow down, alter direction. Small sail boats rarely show up on their radar and while looking out from the bridge of a giant ship, small boats are lost in the vastness of heaving sea. Nichols sailed across the Atlantic, coping with a failed marriage and hoping to sell off in the US, the sail boat he and his wife had been closely attached to. En route, the boat developed leaks. One of the most touching moments in Nichols’s story is when he is saved by a big ship. On the one hand, the vessel responded to pleas from something as insignificant as solo sailor on vast ocean. On the other hand, as it drew close, it crunched the fore part of the small sail boat without even feeling it. Furious, Nichols tries to kick the huge steel monster away. From Slocum to Donde and Tomy, one responsibility continuing unchanged is – on a boat somebody has to be on watch always and when you are alone, sleep becomes little. Sleep deprivation can cause hallucination. Meanwhile solitude breeds the community of one. 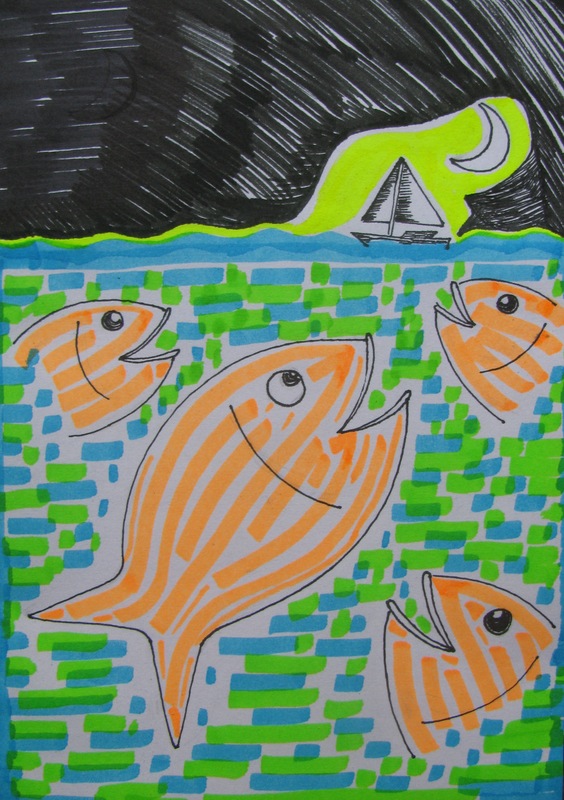 Across accounts by solo sailors you find the story narrated with individual donning multiple roles. The chef served a fantastic meal and the crew appreciated it – is one and the same person wearing two hats. It is poignant and amusing. Donde and Tomy are two of just over 200 sailors who circumnavigated alone. More people have been to space. Lots more have climbed Everest to date, the majority of them likely helped up by hired guides. Yet man on Everest attracts people’s attention more. It is an anthropological puzzle, this difference in human approach to water and depth and mountain and height. Maybe Desmond Morris has an explanation? Meanwhile, India’s officialdom left its characteristic imprint. The tender documents inadequately described the Mhadei as a yacht, when the larger picture was attempting a first in circumnavigation for India with the learning experience therein; all this on a tight budget. After the Mhadei was handed over to the navy, Aquarius which made the boat to schedule was raided by tax officials seeking excise duty payment for the `yacht.’ On their heels came the customs. “ They were only following the law,’’ Dandekar said. The navy spoke up. Although he got back what he was forced to pay, Dandekar wishes this hadn’t happened in an otherwise absolutely engaging project. He has no hesitation in acknowledging how much the Mhadei changed Aquarius. The yard’s ability has been vindicated. Where there used to be just one boat building-shed before, more have come up on the premises. Company turnover has risen. Aquarius looks busy. There is even an aluminium hull getting ready although in the cyclical pattern of the boat building industry, the company which sub-contracted that order to Aquarius sank into financial difficulty leaving Dandekar with the hull. But he is happy that he knows aluminium too, now. That’s his attitude. “ Building the Mhadei was a big achievement. There aren’t too many yards that can claim to have built a sail boat, which did two back to back circumnavigations,’’ Dandekar said. The Indian Navy is the only navy in the world to officially do solo circumnavigation and solo nonstop circumnavigation. Specific to the navy, Sagar Parikrama’s impact may be threefold. First, greater interest in sailing in India automatically means bigger share than before in the civilian mind for the navy. This is helpful for recruitment and goodwill. Second, the average navy sailor imagines his theatre of operation in terms of his own country; the country’s immediate seas, his ship and given mission. Now there is a larger awareness brewing in the navy of oceans and weather patterns beyond. Not to mention, a proven example that Indians in a sail boat can endure what the seas throw at them. Third, solo circumnavigation is all about endurance. The typical sailor in our navy considers 15-20 days at sea as long. The circumnavigation voyages by Donde and Tomy lasted months. That’s proof of what is possible; it can inspire mindset change. 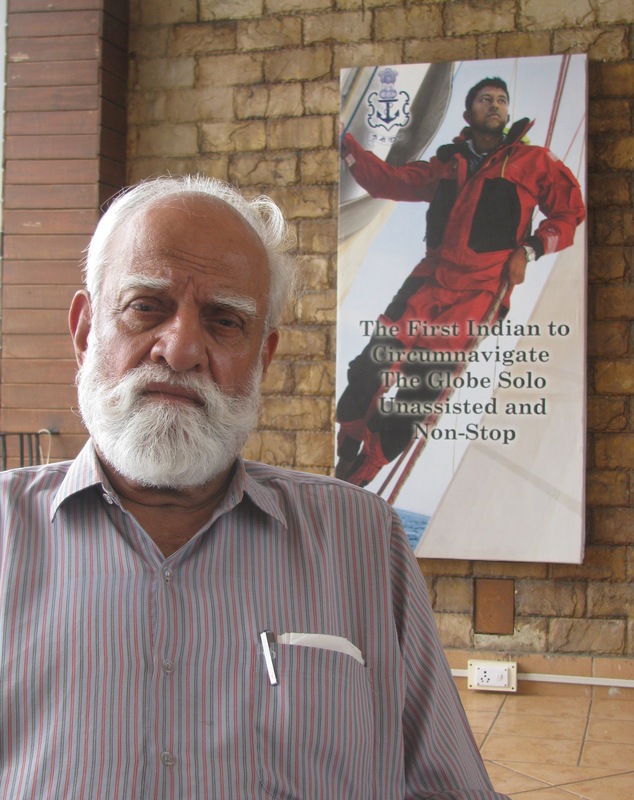 “ I want to see an Indian circumnavigate Antarctica. The conditions there would be trying – ice floes; icebergs, cold temperatures, high seas and winds,’’ Awati said, gazing seaward. For him, Sagar Parikrama is the beginning of a revolution, a revolution of Indian mindset by the sea. Centuries ago, powered by sail, the Indian east coast had spawned empires that touched South East Asia. In Beypore, Kerala, building wooden ships called the ` Uru’ has long been a traditional art. `Suhaili,’ the wooden ketch in which Sir Robin circumnavigated the globe, solo and nonstop was built in Mumbai, mostly at a yard then called Colaba Workshops. Now with Mhadei, the boat used for Sagar Parikrama, built by Aquarius Fibreglass, Goa, India has proven competence in fibreglass boats. We are the world’s biggest democracy with a coastline of over 7500 km, a history of maritime trade that stretches back to well before Christ, and a track record in fine boat building. Yet civilian interest in sailing is abysmal compared to the length of India’s coastline and its population. In many adventure sports, the armed forces led the way in India. Reasons for this could be several, but mainly two. First, there is general aversion to adventure – call it zone of discomfort – among Indians. Decades ago, the religious taboo attached to crossing the seas made anyone going overseas impure. Nowadays, it is over-protective parents and their reluctance to accept anything risky. This plagues even the armed forces. Awati recalled his days as Commandant of the National Defence Academy (NDA) when parents would object to certain exercises he introduced saying it was dangerous. “ My standard reply to that was – if not now, your boy will face it later, so why not now and get used to it?’’ When Donde was sailing, ahead of him in the Pacific Ocean was Jessica Watson, a young Australian, yet to turn 17. 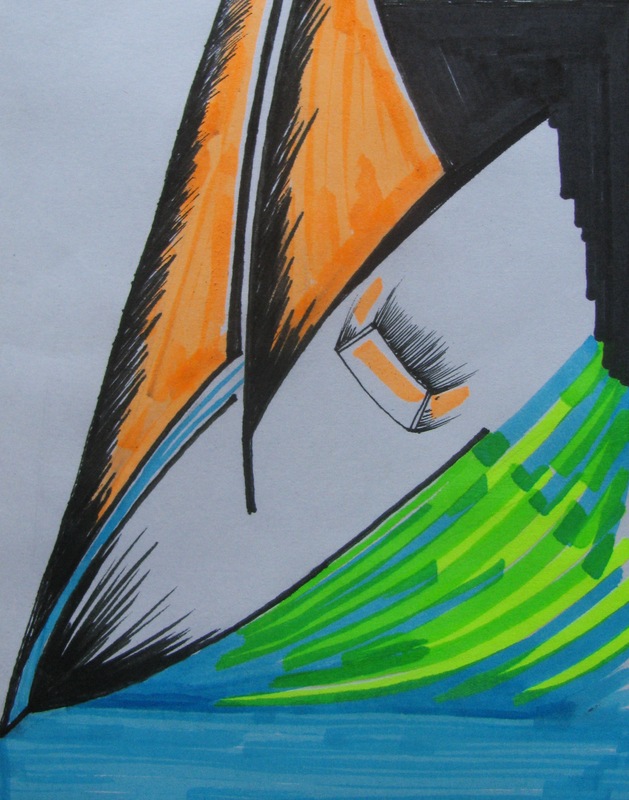 Her circumnavigation was questioned by purists based on a technical flaw; she failed to connect two antipodal points on the planet, which some people consider a must for pure circumnavigation. Notwithstanding these critics, her solo voyage around the world – from Sydney to Sydney – at that age, remains a fact. It is certainly debatable whether she should have circumnavigated when still so young but contrast her backdrop with the average Indian life – her family lived on a boat for five years, the children being schooled via distance education as they sailed. Second, in direct proportion to how the majority obsesses with well settled life, our armed forces are seen as the ones enshrining qualities that the rest lacks. In our compartmentalised view of society, the forces are licensed to adventure. Vicariously, they complete us. Third, capital used to be a major problem. Expeditions are capital intensive. Even today civilian expeditions struggle to find resources. For the armed forces, it is a case of approving project and sanctioning budget internally. Compared to scattered resources in the civilian realm, the armed forces represent focussed delivery. With economic liberalization and rising affordability levels, civilian participation in adventure sports is now slowly rising in India. Bulk of it hardly delves deep into what adventure is. In fact, taken to its extreme as philosophy, adventure even shuns the media and the world, preferring its own trajectory. Moitessier is great example. He no doubt tickled the media with his eccentricity. But he sailed on his terms. One of his sentences from the voyage, rivets, “ I no longer know how far I have got, except that we long ago left the borders of too much behind.’’ Moitessier seems the hermit of the seas; at home on it. Past Cape Horn, Tomy said, he had a spell of depression and went drifting off northward in the Atlantic. He knew the remaining eastbound leg was a sail home. He didn’t want that. He wanted to keep going. Or sample what Peter Nichols says about Sir Francis Chichester. According to him, by the late 1960s, trans-Atlantic sailing races resembled motor racing. It had become the turf of young sailors, the races were very competitive. With competition the races became expensive, teams splurged on ever fancier boats. The importance of sponsors increased and with it sailing became the ability “ to navigate the tide rips and currents of commercial sponsorships.’’ Sir Francis and others like him sought a different canvas. In 1966, he sailed off the competitive confines of Atlantic racing and circumnavigated the globe with just one stop; Sir Robin took it to nonstop. 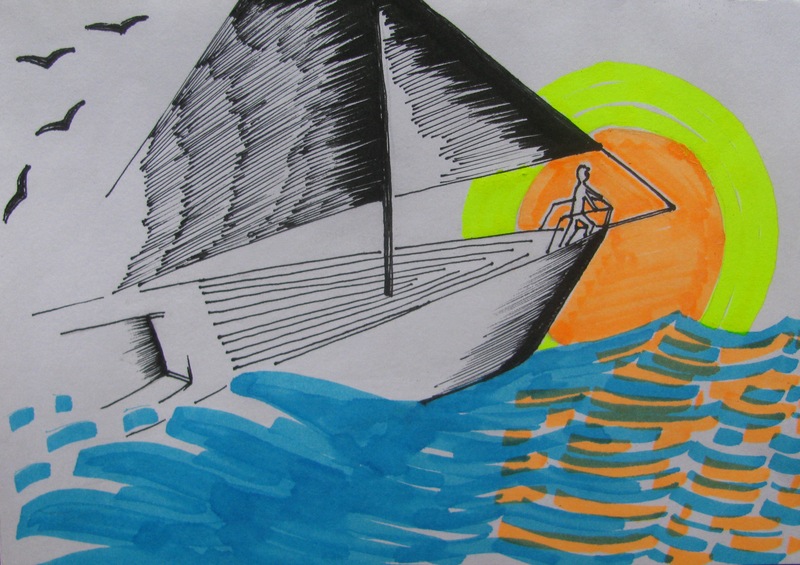 Can we get the essence of sailing, across to an Indian audience without loss in translation? Sailing is much more than sailing to win a race. As you research route, weather conditions and prepare for voyage – it becomes an exploration of life and the planet. It is education. Awati lives in Satara. He likes to talk of a school student there, who tracking the Mhadei’s journey, could tell the retired admiral the names of all the three great capes correctly. Or sample this – a fine example of what a good old fashioned adventure, cast the classical way can inspire people to do. On hearing of Swapnali Dhabugade, I requested her for a chance to meet. We talked over a cup of tea at a cafe near Vashi station. A cost accountancy student from Mumbai, Swapnali read about Sagar Parikrama in mid-September 2012. She isn’t sure what caught her fancy but suspects it was `solo,’ a situation so different from the average Indian life crammed with people. Intrigued, she got in touch with Tomy, travelled to Goa with her friend Mugdha Chavan, went aboard the Mhadei, then visited Aquarius Fibreglass and met Ratnakar Dandekar. In mid-December she met Donde. She attended Sir Robin’s lecture at the Maritime History Society. With help from friends and family, Swapnali pieced together a ` Sagar Parikrama Awareness Programme,’ primarily for secondary school students as the voyage fitted in well with geography classes at school. She and her friends made 17 presentations in Mumbai and Jalgaon reaching out to 2685 young people, many of who subsequently tracked Tomy’s blog. Schools covered included the 100 year-old King George School where Awati is alumni. The navy responded, presenting a letter of appreciation to the whole team. In April this year, Swapnali took her interest further ahead, doing a basic course in sailing from a private sailing school. To be the popular movement Awati hopes Sagar Parikrama will be, then whoever pushes it – navy or otherwise – will have to imagine a transference mechanism for the idea of sailing; one that is broad-based and adequately contemporary. Today’s society is diverse in terms of who wants to learn something, when they wish to learn and how they learn. Even the same person learns differently at different stages in life. Anyone who can learn a bit typically aspires to go the whole hog if the bug bites deep enough. The Himalaya has a total length of 2500km. India’s coastline is three times longer at 7500km. Sailing’s vast playground makes it a democratic urge, brings it closer to running an outdoor club, in terms of ideal operating ethic. Currently India’s yacht clubs – some of them teach sailing – are elite addresses, carried over from the colonial era or newly created for fashionable social apartness. A few private sailing schools have opened. There is also the National Cadet Corps (NCC). If Sagar Parikrama inspires at large, then sailing will face the same crossroad as mountaineering in India did – should it grow top-down with regulation and bureaucracy (as mountaineering chose to) or should it foster enthusiasm at ground level (as running and outdoor clubs did), work to make sailing popular? Awati said, “ top-down won’t work.’’ Tomy however emphasised the need to retain aspiration. Asked if making the sail boat cheaper is central to popularising the sport, he quipped, “ do you think if boats are affordable people will sail?’’ According to Tomy, sail boats have become affordable with India’s economic growth but more importantly, you must want to be a sailor. The sea should catch your fancy. There is no substitute for that; it is what makes you aspire. Tomy has a point for beyond constraints of affordability, there is a fundamental urge – a curiosity for the medium – that has remained absent in India. Thus for instance, the Mhadei, while certainly vindicating Aquarius’s competence to the Indian Navy and thereby in vessel construction for military / paramilitary purposes, does not automatically open up business in sailing yachts for Dandekar. There are two to three reasons. First, sailing is very under developed in India with little civilian interest. So a big enough local market isn’t there yet. Second, the current market is for luxury yachts bought by the wealthy. For this group, it counts to say that their yacht was imported or built at some particular foreign yard. Third, thanks to our erstwhile economic controls, the trend of yacht-building shifting to new geographies as a matter of overseas enterprises seeking cost effectiveness, bypassed India and went to countries like Sri Lanka and Thailand. For now, Aquarius’s competence in yacht-building seems as much an island as Diwar. Looking down from your train window you may thus not see a great financial story. But for sure, that’s where the Mhadei was built, where history was made. On their part, Donde has written a book on his voyage, while Dandekar plans a Sail Training Association with the Sagar Parikrama team. Commander Dilip Donde, India’s first solo circumnavigator, was awarded the Shaurya Chakra; the Tenzing Norgay National Adventure Award, the MacGregor Medal and deemed the National Offshore Sailor of the Year. 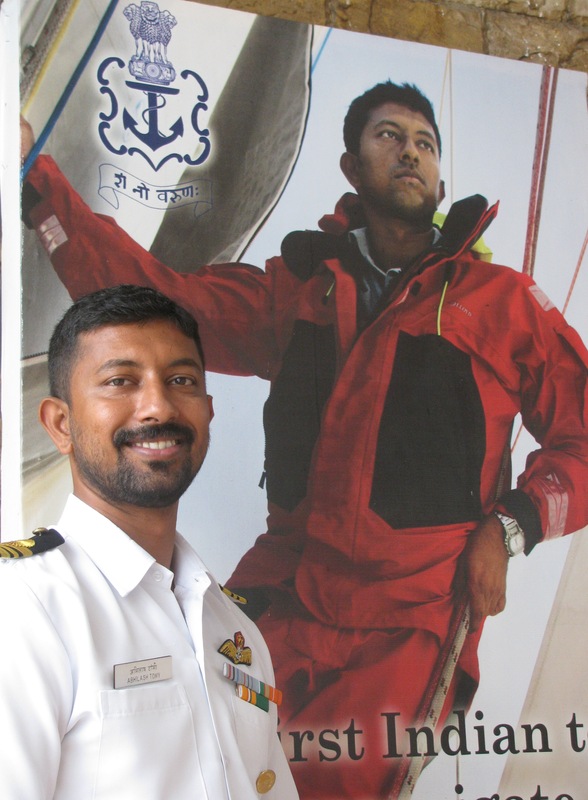 Lt Commander Abhilash Tomy, India’s first solo nonstop circumnavigator, got the Kirti Chakra, the Tenzing Norgay National Adventure Award and the title of National Offshore Sailor of the Year. At the time of writing this article, he was also the only Indian to be inducted into The International Association of Cape Horners. Vice Admiral Manohar Awati retired from the Indian Navy in 1983. He was last the Commander-in-Chief of the Western Naval Command, the sword arm of the Indian Navy. He is the main architect of Sagar Parikrama, having imagined the project, kept it alive and seen it through. Now 87 years old, he is an inspiration to talk to. He was kind enough to grant an interview for this blog. You kept the idea of Sagar Parikrama alive through decades in service and several years in retirement. What are your thoughts from that journey? I kept plodding and trying to elicit some interest in the voyage I had in mind for so long, with the navy and the corporate world. No one seemed to be interested in sailing. Many said that I was being too ambitious for India, that we as Indians were neither too happy nor too felicitous with the sea. Many quoted historical reasons for this attitude towards the sea. The risks were too high, almost incomprehensible for a nation where the young had shunned making a career at sea for so long, a thousand years to be precise. It is not as if Indians were afraid of the sea. They could not have been that. Look at the thriving fishing industry and so many poor littoral people like the Kharvas of the Gujarat coast finding employment with international shipping companies as Khalasis. Almost as many Konkan Musalmans served as firemen in the engine rooms of these ships. They were all competent seamen, much sought after by the companies for their competence and loyalty. But turn to the Indian middle class – it was zilch; an amazing paradox. I am not a sociologist but I am a history buff, aware therefore of the ban imposed on embarking upon the sea about a thousand years back by a zealous religious leader on pain of losing caste. Now in those days one protected one’s caste with one’s life, if need be. There could be no compromise in a society which held caste dearer than life itself. You may remember Bal Gangadhar Tilak subjected himself to rigorous ritual cleansing after his return from the Round Table Conference in London in the early twentieth century because of the pollution his person had suffered crossing the ocean! I have a niggling feeling that many upper caste Hindus in India have not quite rid themselves of the stigma of going afloat. Parental permission is still residual in many families to boys, and increasingly girls now, from taking up a career at sea. We do not take part in any numbers, in recreation upon the waters of our ocean even as throngs go off sailing during weekends in the west, especially in Western Europe and America. The sea has been a part of their lives for centuries even as we Indians distanced ourselves from it. The sea was very much a part of Indian awareness in the ancient days of Meluha, the country of the Indus Delta, the civilisations of Mohen-jo-Daro, of Dholavira, as also of the east coast later during pre-Ashokan times. That awareness continued through Buddhist India, its association of the Sangha, the trade guilds which came up to advance maritime trade through ship and cargo insurance and the myriad activities that go with trading across the oceans, the Blue, not just along the Brown water coasts. The Buddhist Jatakas are full of great voyages, of shipwrecks through storms, of pirates and pillage at sea and much else, including the riches which were the result of that trade despite the vicissitudes. The sea carried India’s very considerable and very rich trade. We have almost forgotten that centuries back this country enriched itself from trade across the seas carried by ships built along our coast – especially the west coast – from shipbuilding teak which grew in the forests backing the coast. Today the descendants of the great Mesthries (shipwrights) of the past seek employment with the Sheikhs of Araby because the government cannot find any use for their once applauded art. Shameful! In the Middle Ages our seamanship and ship management had atrophied so low through disuse that several coastal principalities had to employ Arabs as the Shah Bandars ( port officers ) of their harbours and ports to keep trade flowing. Any wonder then that the Arabs had a monopoly of trade with India? It was the Muslim Arab who the Christian Portuguese wished to remove as an impediment. That prompted them to their adventures by sea, the discovery of the Cape route to the riches of Inde. As late as 1850, twenty seven per cent of world trade was India’s share. What is it today? Less than one per cent! How and why did this slide happen? The European colonisers had their share in this collapse, no doubt. 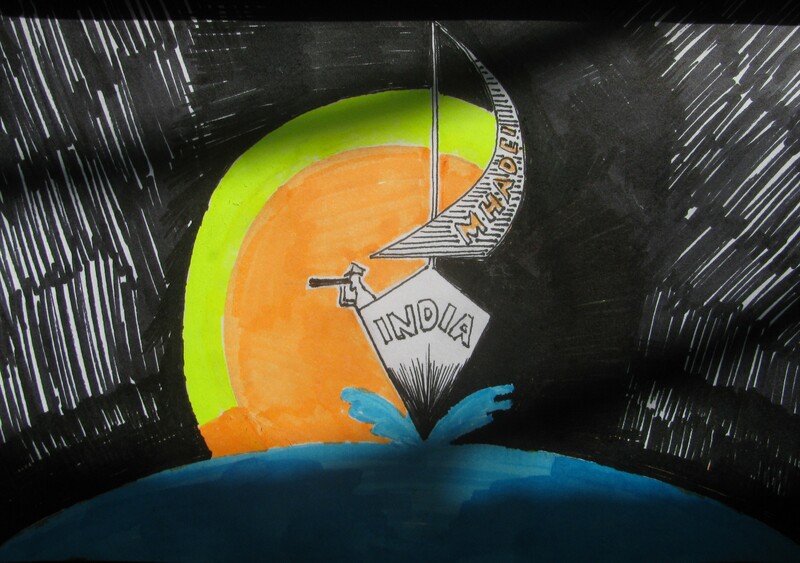 But the main cause was India distancing herself from the sea which surrounds it on three sides, as a result of some religious belief to do with caste and such other nonsense in a caste ridden society, which by then, as a result of a long bout of slavery, had quite possibly turned on itself, like some desperate, depressed individual. Distancing herself from the sea was an act of near suicide for the nation. We have not yet recovered from that act. There has to be; there must be – a revival if we are ever to grasp the nettle of a great nation. We have to revive ourselves at sea by an effort to be friends with that great, all encompassing, yet fickle medium which governs life on this planet. Let people remember – no sea, no climate and therefore no life as we know it. You structured the project such that the first Indian to sail solo around the world would do so in a boat built in India. In an era when many people question the need to reinvent the wheel what made you insist on building the boat here? It is not really a question of reinventing the wheel. No two circumnavigator boats are the same, from Robin’s wooden Suhaili, to the trimarans, to all things fibreglass and now carbon fibre, all the way to my Mhadei. Every boat built has own character; its handling peculiarities, its survivability in extreme weather conditions. I wanted the boat to be built in India because at one go I would demonstrate an Indian’s ability to go round the world solo and bring to the notice of the world the abilities of the Indian boat carpenter whose reputation around our ocean and beyond was so very enviable for so long. He was invited abroad for advice and supervision of ships built of timber. The watertight- ` Wadhera Joint’ for joining wooden planks, was invented in India. It needed no caulking. It is difficult to fashion; therefore not cost effective. Sagar Parikrama is remarkable because aside from the Dutch design it was an Indian enterprise. The high value instrumentation was of course, imported from Europe. What next for Sagar Parikrama? I now look forward to the first Indian woman circumnavigator, in my life time. At 87 that may appear to be a little unlikely. I am optimistic. We have taken the first steps. There are volunteers from among the women officers of the navy. There are Dilip and Abhilash who will carry my ambition to fruition. There are several in the business of directing the Service, especially in the navy’s HRD, who think as I do. I am therefore, hopeful. After that I want an Indian to circumnavigate Antarctica, solo. What is your advice to those planning adventure activities? I say: plan a real whammy activity, not some common or garden stuff. It is how you tackle the danger therein that is the core value of real adventure. Adventure must offer a challenge to your character, the character of those who participate in it, whether it is a solo or a group affair. It becomes training in leadership where leadership stands for example and willingness to take calculated risks which demand decision on the spur of the moment. Are there values in expedition planning and execution, which civilians can learn from the armed forces? If so, in your observation and seeing the state of affairs in the civilian realm, what would be the most important traits for a civilian expedition to copy? The most important trait for civilians to copy from the military is surely and above everything else, discipline. Staying power is next, once you have decided what the purpose and aim of your expedition is. An adventure expedition needs to have an aim. It should not be some purposeless ramble. Of course a ramble has its own value in getting out in the country, observe nature or just breathe in the ozone and get a feeling of wellness. But a serious adventure MUST have a purpose and it must involve serious challenge. Otherwise it becomes an empty adventure, adventure in name only. An adventure activity must help to build or bolster character, character which matters in civic life and in nation building. We in India are seriously devoid of people who have character. Character means willingness to shoulder responsibility, ability to make decisions and lead by personal example. Regrettably, apart from a few, I cannot name anyone in India with these qualities. Among those who are under fifty, I cannot think of a single person. In a manner of speaking, Sagar Parikrama is a good example of civil-military interface. It delivered. But then I was fortunate in both the military man, Dilip and the civilian, Ratnakar. It just happened. Coincidence ? May be. I do not believe in coincidences. If you plan and push with a purpose, then usually the right people come in. Once, Ratnakar’s mother told me, “ Admiral I was not sure of this mad project of yours, that it would ever come off or happen. But when I saw three mad people come together, I started thinking otherwise.’’ Wise and observant words from a worldly wise lady! There are huge possibilities in defence for civil-military symbiotic relationship for the good of the nation. It is waiting to be fully exploited. A small beginning has been made. It must be widened, exploited to advantage. Whoever takes the lead in doing this – it has to be done from the highest level in government and in corporate bodies – will have to tread on many toes and old corns, disregard the nay-sayers. By all means let us begin with adventure activities, real adventure, if we dare. Bang in the middle of the Pacific Ocean is the island of Tahiti. When European ` discoverers’ reached this island in the heart of Pacific wilderness in the eighteenth century (Tahiti was sighted by Europeans in the sixteenth or seventeenth century), there were men and women already there. How did the first people reach Tahiti? Science deems Africa’s Great Rift Valley as the evolutionary ground of our species. Our ancestors are said to have walked out from Africa. In that case, humanity’s first sea-crossing may have been the Red Sea, from near the Horn of Africa to West Asia. Those days, the water level in the Red Sea was low. Journeying on, humankind would reach the edge of East and South East Asia. Water levels were low here too, exposing that much more land (now reverted to below water) and rendering distances by sea, so much less. Slowly our ancestors navigated across the nearby seas all the way to Australia. Measured against the impatience of our times, this journey out of Africa, took a long time to be completed. Human settlement of Tahiti though seems to have been a later day affair. If you check the map, Tahiti would appear as a dot in an ocean of blue. According to Wikipedia, the first people on Tahiti hailed back to early residents of South East Asia. They arrived through an emigration in stages over the years, reaching Tahiti around 200BC on outrigger canoes. These are canoes having one or more lateral support floats fitted to one side of the main hull or both sides. They are paddled or sailed. Outrigger canoes are a part of the maritime heritage of Polynesia and South East Asia, having played a major role in the settlement of far flung islands and transport in general. Interestingly, Wikipedia also says that it was an emigration on outrigger canoes sailing west from South East Asia that brought human settlers to Madagascar over 350BC-550AD. That’s a long, long time since humans crossed the Red Sea eastward from mainland Africa which lay just across the Mozambique Channel from Madagascar. Emigration from mainland Africa to Madagascar followed this initial settlement. On the map, the emigration from Borneo to Madagascar would appear a crossing of the Indian Ocean – on outrigger canoes! These early voyagers had no Wikipedia to tell them of Tahiti and Madagascar; no GPS to navigate accurately, no infallible yachts or ships as we do at present. Once gone, did they know how to get back to that thing called home, which rules, haunts and shapes us in this age of identity by settled life? Or was it all about reaching new land for new life? Take what I wrote with a pinch of salt – and the genuinely curious, please, I encourage you to read and research yourself – for my intention is not to teach you flawless history, anthropology and geography. My intention is merely to make you think. A slow and patient (not fast and impatient) gaze at the planet and its cultures would tell you that people tackled fantastic challenges long before us. Historians and archaeologists may sift through traces of human existence to give you proof of the world’s earliest sailors, the oldest boat etc. But it doesn’t tell us everything about the adventurers of yore, for quite likely, more have disappeared without trace than the few whose names survive thanks to some trace. What lives on is their legacy. It survives in humankind’s continued affair with the sea and the shape of boats, still traceable to the wisdom of ancient voyages. Land was once as awesome as the sea. Today, land lay known and exploited. Its great adventures have largely reduced to the stuff of commercial expeditions, sponsored thrills and people competing to prove, “ I can also do it’’ or “ I can do better.’’ Out in the blue and deep below it, for no better reason than that fewer people court that vastness, so much bigger than land – a sense of self and adventure in their original tenor probably exists. During the 1968 race, Sir Robin Knox-Johnston, short of money, sailed out in the ` Suhaili.’ Far out in the Atlantic, she started taking in water. He had to fix the problem, narrowed down to an issue of caulking, by carrying out repairs from under the water. For this, he had to dive into the sea and be below the boat, repairing it while the vessel slowly sailed on. Most sailors worry if their boat would drift away leaving them behind. Sir Robin was in the habit of enjoying a daily swim, diving off the bowspirit, swimming as the boat floated past and eventually helping himself back aboard using a rope trailed from its stern. Shift context and sample this from an evening, late October 2013. Lights dimmed at Mumbai’s Sterling theatre and a film commenced that was weirdly silent for the visual spectacle, which was its opening frame. For the next 90 minutes it kept the audience spell bound with deft use of aural and visual technologies and a continuous dramatic interplay of, sound and silence, movement and stillness. Befitting the medium in which the story was set, we rotated, spun and revolved in a vastness brought alive so, for the first time on big screen. As I write this, Alfonso Cuaron’s much acclaimed movie `Gravity,’ is still running in Mumbai theatres. On Earth, only the sea comes close to space in terms of distances, depth, 360 degree-expanse, the sense of being afloat and the complexities of survival in a medium that isn’t as much man’s home as terra firma is. The sea is the world’s great wilderness, till space takes over. 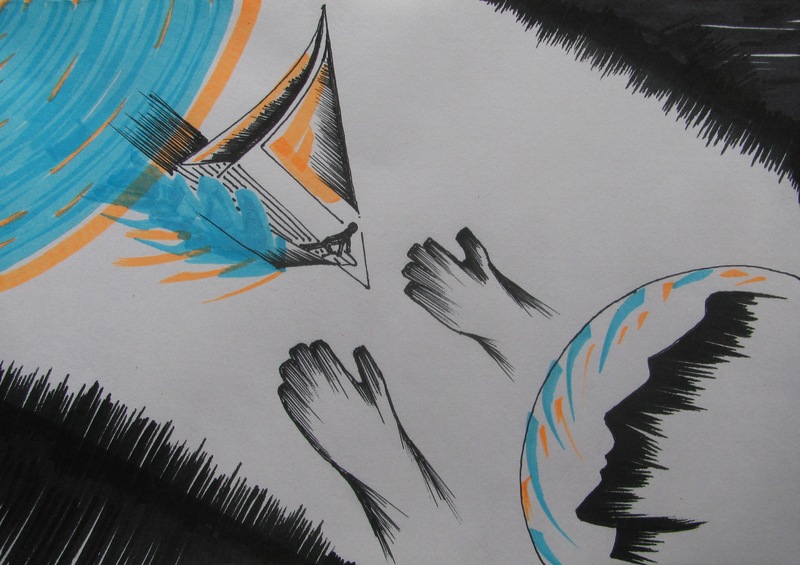 Already you can see the similarities: `ship,’ `vessel,’ `craft,’ the relation between person and ship, the endurance required for long stints aboard – the words and ideas are common to both fields noticeable for their power to make the human being feel small. Sagar Parikrama impressed me for the sheer scale of the experience it put the two naval officers through. It also impressed as subject ranging from the sea’s spread on the planet to its human history. Seventy per cent of the planet; deep enough to sink the highest mountains and home to fantastic natural forces, not to mention experiencing it at the pace of sail. Despite 21st century, the story still felt like revisiting books from the exploratory phase of land. Early Everest expeditions had to tackle the nuts and bolts – explore an approach to the peak, study the effects of altitude on the human being, fashion oxygen cylinders, design appropriate clothing etc – not much different from Commander Dilip Donde commencing expedition work from scratch, his interaction with Sir Robin and of course, Aquarius Fibreglass building the Mhadei in Goa. When it came to Lt Commander Abhilash Tomy, the challenges were likely more internal to self, for the defining difference had moved to nonstop circumnavigation. In all this work from researching route to boat and self, much was already known and there were templates for everything. But the approach was classical – as Vice Admiral Awati wanted it to be. From a more short term, practical angle, nothing can be more effectively metaphorical of the relation between us and India than a boat at sea. The reason the Mhadei mattered so much for Sagar Parikrama, is because it was the vessel that would take a human being around the planet and bring the person back, safely. That’s why Ratnakar Dandekar’s role was pivotal. Like all sailors and particularly solo sailors, Commander Dilip Donde and Lt Commander Abhilash Tomy, during their voyages, devoted attention to the needs and requirements of the boat. The Mhadei was all that stood between them and the deep. If they maintained the Mhadei well, their chances of sailing safely were that much stronger. Isn’t that true of a boat called India, too? If you haven’t seen the film ` Gravity’ yet, then see it. Gravity is the sort of film that comes along once in a long while. So far, most movies about space that I have seen, fall into two categories. There is the genre, which embraced the perception of space as science fiction fantasy. It told great stories set therein. The imagination, while bringing into play everything that humankind knew of space, stretched it a wee bit more, sometimes a lot more, for the heck of story. But these films were often far in excess of what our actual ventures into space have been. In these flights of fancy, human beings travelled through the solar system, hurtled through black holes and visited other galaxies, even as the farthest a human being ever got to, remained the moon. Cut to the other genre of being more realistic and telling stories within the realm of actual human exploration – we in India often felt left out because in tune with reality, all those stories had to be necessarily about foreigners at work; their sagas, their travails, their victories. A certain late astronaut called Shariff singing an Indian film song in orbit or George Clooney commenting on the beauty of a sunrise over the Ganges do nothing to stoke South Asian excitement for Gravity. The film worked because it was gutsy enough to keep space its real hero. At one stroke, it eliminated the petty divides inspired by human life on the planet and brought home a reality beyond the capacity of our different languages to describe. 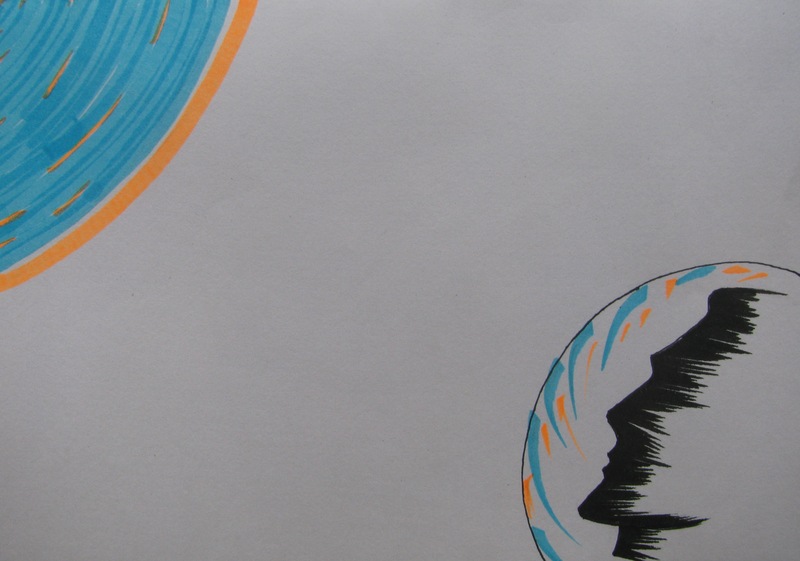 I felt, Gravity took the human being out of space and prepped us for a medium as it is. Experiencing Alfonso Cuaron’s film was fantastic. There have been many films that exploited modern cinema’s technology to the hilt. A new sound system would come screaming in; a wide screen would be shown such that we are dwarfed to shifting in our seats for seeing it end-to-end. This film had no such agenda. Gravity’s opening sequence in a typical Mumbai theatre yet to stop chatting, reminded me of Steven Spielberg’s `Saving Private Ryan.’ That was the first film I saw, where the filmmaker, telling a story from the point of view of the soldier in battle, showed action all around with no sound. Such numbness happens in war; the film brought it home. After years used to Star Trek, Star Wars, Aliens and the like, the abject silence of Gravity’s space took time getting used to. But once it gripped, you wanted it to remain so for you realized that unlike before, here, you were dealing with the real stuff. I wonder what the more mainstream filmmakers will do about space now that its silence has hit the theatres and the audience didn’t walk away! I also hope this will become a trend going ahead – a cleansing of big media experience to restore an experience of world that is greater than humanity’s media. Not many films have succeeded in breathing its context into every frame as Gravity did. Emmanuel Lubezki’s cinematography was calm and restless at once, weaving us in and out through twists and turns, for space is 360 degree-expanse on every axis. It was like being in a washing machine and that is close enough but not fully accurate description. Finally, Gravity wasn’t without sound. Where required it had that and dialogue. In fact, it had music. Except – Steven Price’s music didn’t ever intrude. It stayed in the backdrop like a grinding saw of tension, picking up momentum as the film approached climax, which was most acceptable aesthetically for the climax was a descent to Earth and its environment, including capacity for sound. One day, maybe Cuaron or somebody else will show us the reverse – music petering out in tune with an ascent to space; a loud background score fading to stillness or receding to the very electronic sound of music in an astronaut’s earphones while space rules awesomely silent all around. See Gravity; experience a shift in perspective.